Karli Storm explores how Georgia’s evolving national narratives are embodied in the architecture of its capital city. When illiberalism leads to Europe: Tamar Gamkrelidze investigates how Saakashvili moved Georgia toward European integration. How do Belarus’ young people feel about democracy? Natallia Sianko conducted a survey to find out. 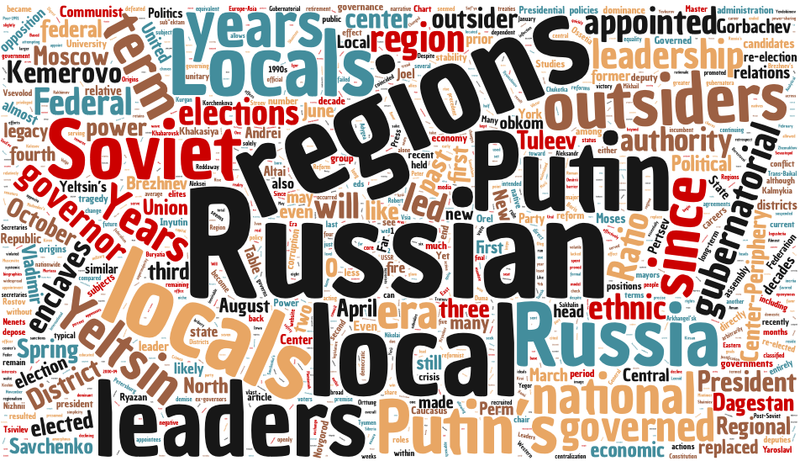 Who determines center-periphery relations in Russia? The balance tilts toward locals, not outsiders, writes Joel Moses. 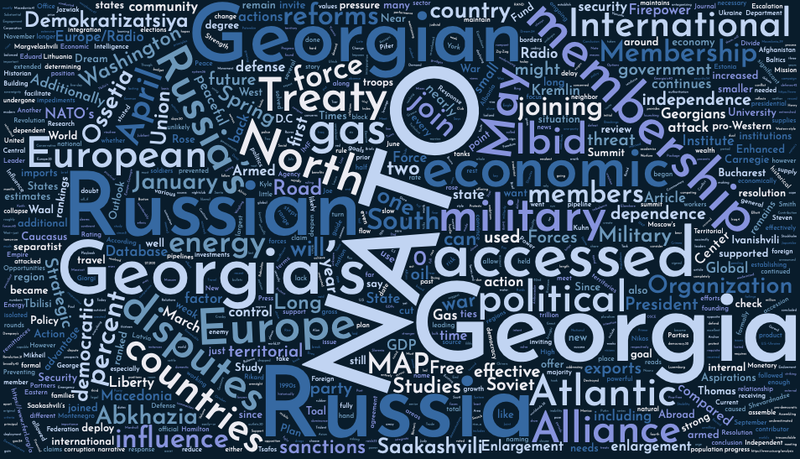 Joe Kyle explores the challenges to and prospects of Georgia joining NATO. 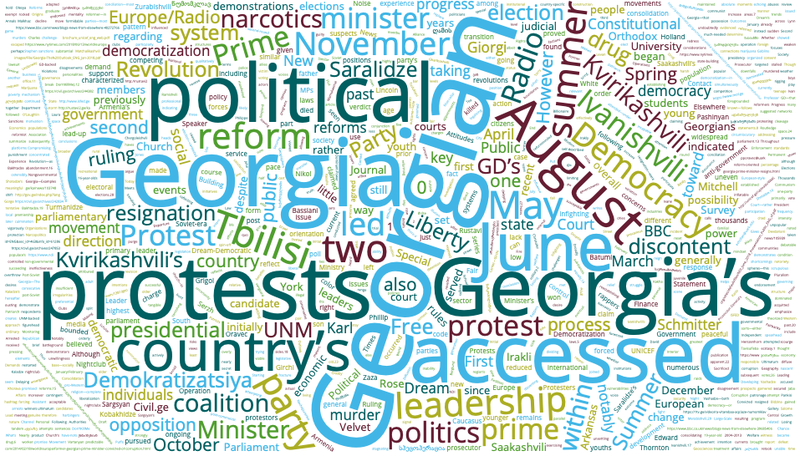 Phillip Oravec and Edward Holland analyze the causes and consequences of the summer 2018 protests in Georgia in comparative perspective. 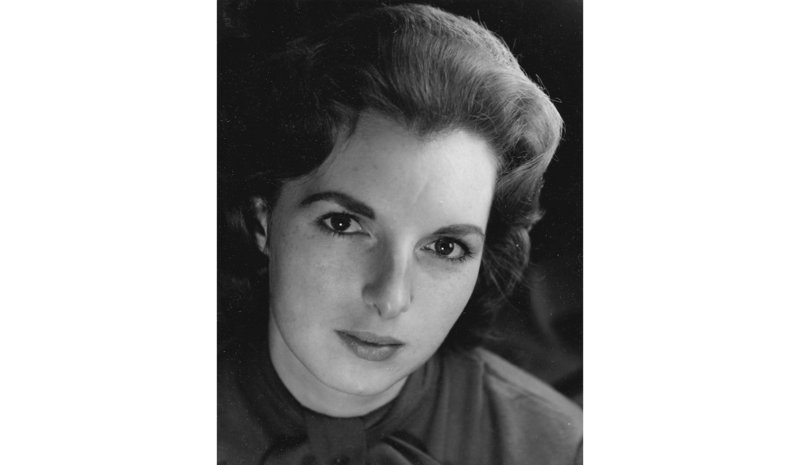 We celebrate the life of Joyce Poole Horn, who spent nearly two decades of her impressive career as Managing Editor of Demokratizatsiya. Interested in understanding post-Soviet transformation? Look no further! Since 1992, Demokratizatsiya contributors have been providing scholarly insights into the forces that shape the region, from perestroika to Putin. In each quarterly issue, distinguished and emerging scholars from around the world address politics, economics, social issues, legal systems, nationalities, international relations, and human rights. 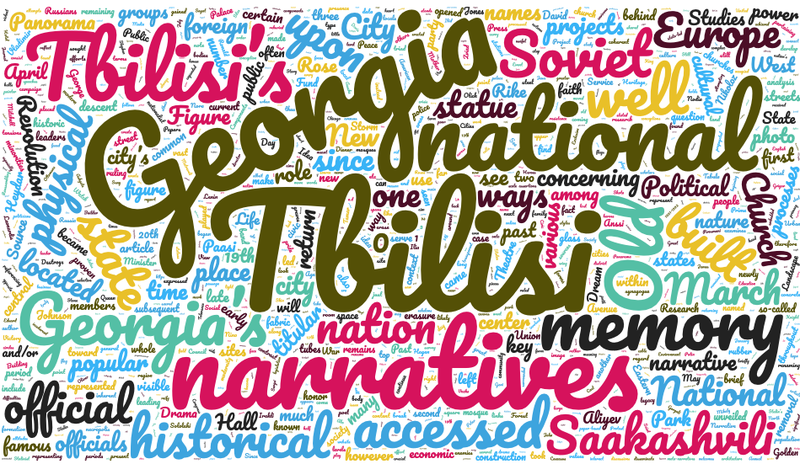 Recent articles have covered blogging in Runet, the Donbass War, and the portrayal of female heroes in Kyrgyz nation-building. Demokratizatsiya is ranked in Scopus. As of July 2017, the journal is in the 67th percentile of journals ranked, with a CiteScore of 0.74. Demokratizatsiya appears in the European Reference Index for the Humanities. Learn more here. To learn more about our authors and get a behind-the-scenes look at their research, explore our Journal Plus content. 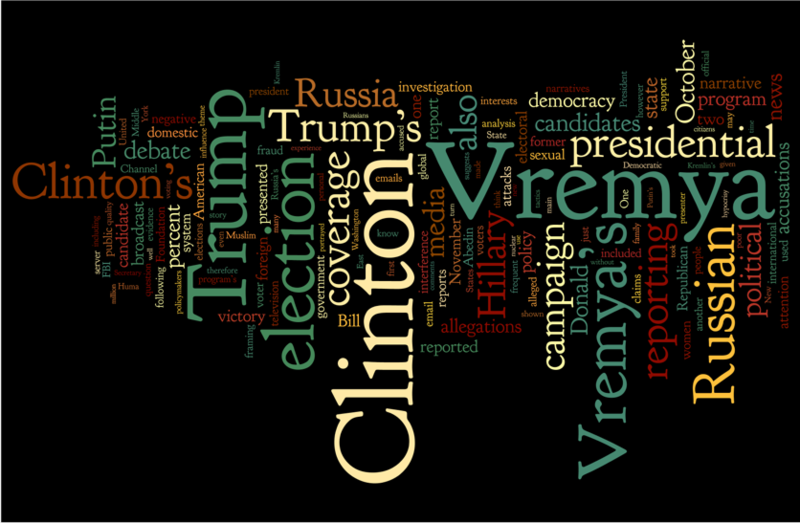 Tina Burrett discusses her research on Russian TV news during the election and shares surprising findings. 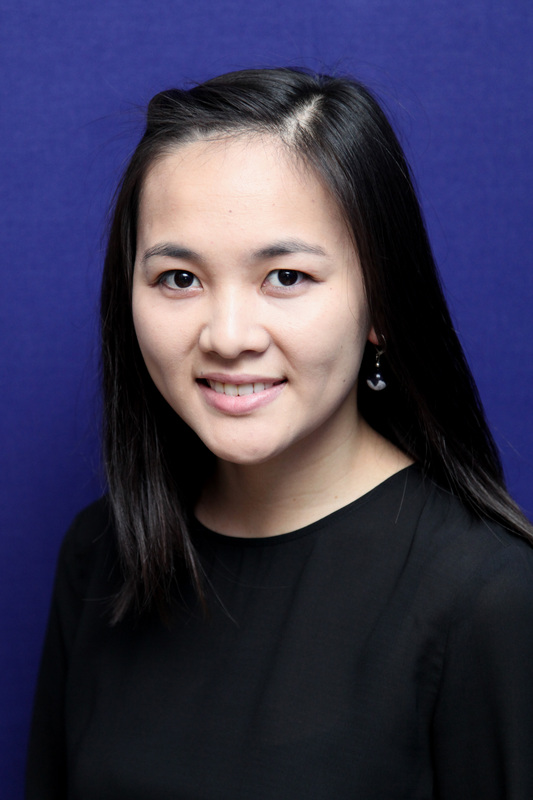 Plus, find out Tina's advice for young scholars. Central Asia expert and Demokratizatsiya contributor Donnacha Ó Beacháin discusses regional elections, authoritarianism, and what young scholars should know. 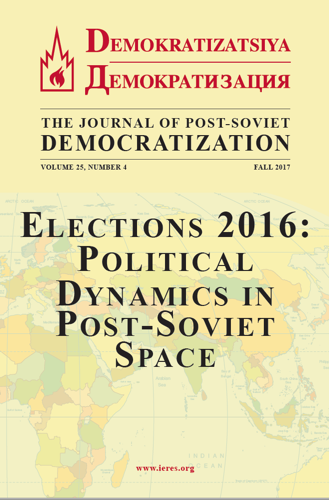 Sofie Bedford and Ryhor Nizhnikau take us behind the scenes of the October 2017 special issue about post-Soviet elections. Read on for a look at the research behind 'Female Heroes in a Man's World: The Construction of Female Heroes in Kyrgyzstan's Symbolic Nation-Building" (April 2017) and to find out what's next for Nuraida. Demokratizatsiya offers a range of subscription options to meet the needs of our readers. Choose an online subscription for immediate access to each new issue, as well as back issues since 2012, on Project MUSE. Receive each quarterly issue of Demokratizatsiya in your mailbox as soon as it comes off the press with our online and print subscription. 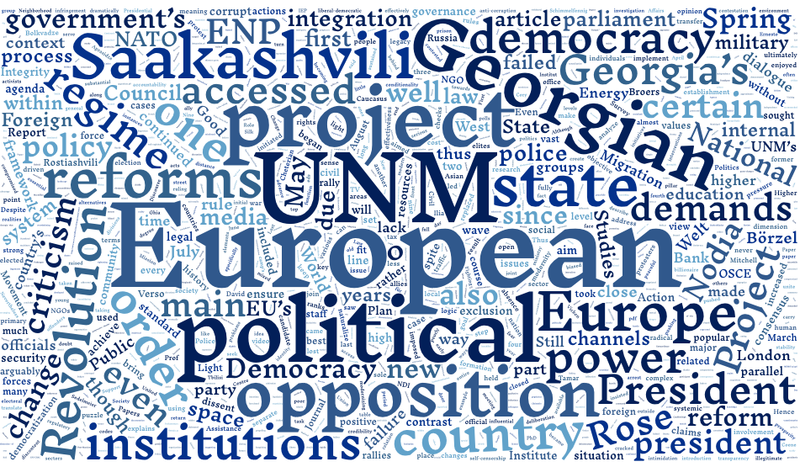 This option includes complimentary access to online Demokratizatsiya issues since 2012 through Project MUSE. Provide your institution with year-round access to Demokratizatsiya's content with an institutional subscription. Choose between print and online, or opt for the complete package! Try before you buy! 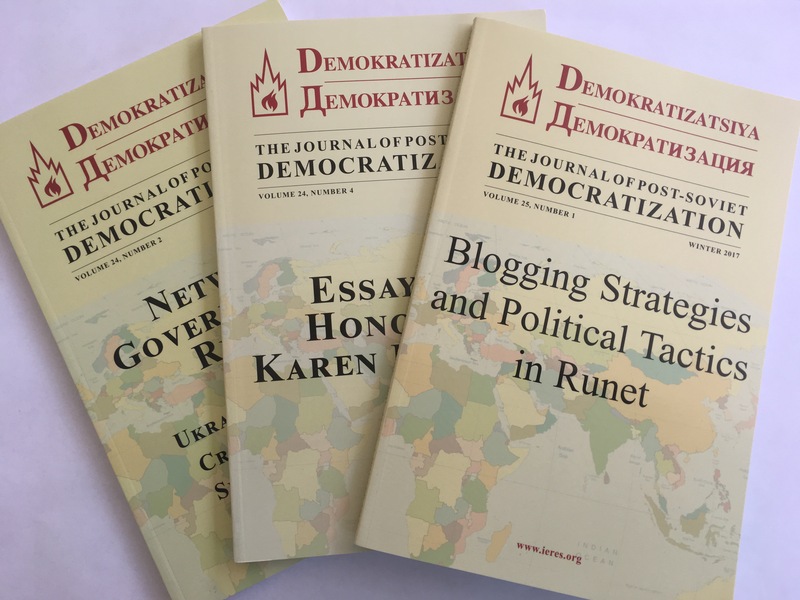 Request a free sample issue of Demokratizatsiya by emailing demjournal@gwu.edu. To learn more and subscribe, click the button below. Many institutional libraries have access to Demokratizatsiya. If yours does not, you can ask your librarian to order it! iPad and eReader users enjoy free access to issues of Demokratizatsiya. Find a comprehensive list of Demokratizatsiya articles here. Archived journals (1992 - 2014) are available for free download. 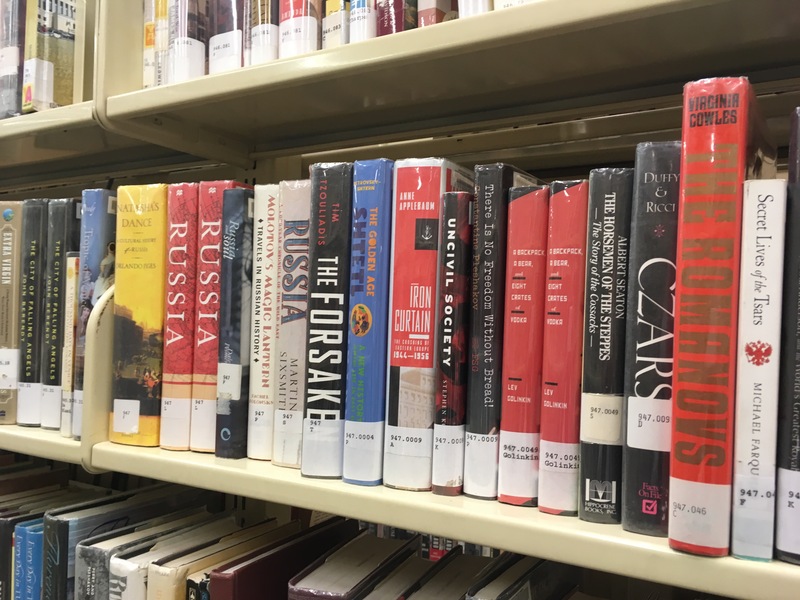 The journal covers politics, economics, social issues, crime, legal systems, nationalities, international relations, human rights, and other topics, with a focus on developments since the end of the Soviet Union. We welcome submissions of articles by recognized and emerging academics, journalists, practitioners and other specialists. We are especially interested in scholarly articles that have policy relevance. Historically, Demokratizatsiya has published English language articles ranging between 6,000 and 10,000 words in length. Additionally, as part of our commitment to develop and publish new voices, we have recently added a new section, “Perspectives: Concise Analyses of Current Events.” The section will include short pieces (about 2,000 – 3,000 words) from undergraduates, graduate students, and early-career scholars who have something to say on a range of contemporary topics in post-Soviet space. We’re looking for the same policy relevance and focus on democratization as we seek in our longer articles, but in a more concise, timely package. Once authors submit an article, our editorial team will work with each one individually to develop their work, providing extensive editorial feedback. There are no costs associated with submitting a manuscript to Demokratizatsiya or having it published. Each manuscript submitted will be evaluated by double blind peer review by at least two reviewers with published scholarship on related topics. We hope to respond to each submission within four months. We will only accept a manuscript for peer review if the manuscript is not being considered for publication by any other journal. Our submission guidelines are available here. For more information or to submit a manuscript, please contact Robert Orttung, editor, and Ellen Powell, managing editor, at demjournal@gwu.edu. For more information, please email us at demjournal@gwu.edu or use the contact form below. We look forward to hearing from you!